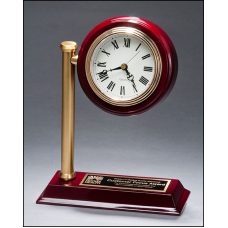 BC1000 Rail station style desk clock on rosewood finish high gloss base. 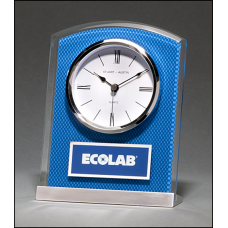 7" x 9"Laser engravable brass plate.Individually gift boxed.Clock supplied with lifetime guaranteed ..
BC1007 Glass Clock with Blue Carbon Fiber Design on Aluminum Base Silver bezel, white dial, three-hand movement. 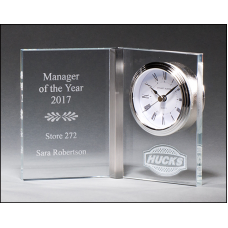 5" x 6.5"Laser engravable aluminum plate.Individually gift boxed.Clock movements are guaranteed for ..
BC1012 Large glass pendulum clock, three hand movement with white dial. 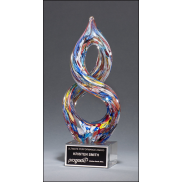 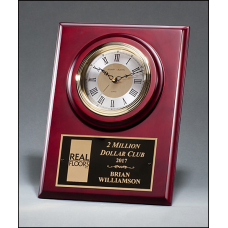 6.5" x 10"Clock supplied with lifetime guaranteed quartz movement.Batteries included.Individually gi..
BC1014 Large Cherry Finish Clock with Three-Hand Movement Wall Mount or Shelf Stand. 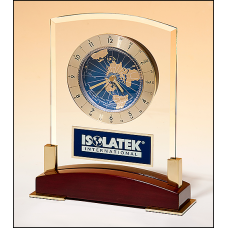 9" x 12"Laser engravable brass plate.Individually gift boxed.Clock supplied with lifetime guaranteed..
6" x 7.75"Individually gift boxed.Clock supplied with lifetime guaranteed quartz movement.Batteries ..
5.75" x 2.5"Individually gift boxed.Clock supplied with lifetime guaranteed quartz movement.Batterie..
BC1025 Modern Design Clock brushed silver bezel on black high gloss base. 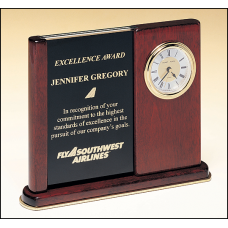 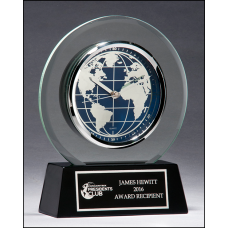 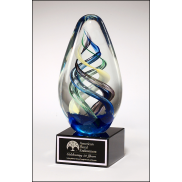 5 5/8" x 7 3/4"Laser engravable plate.Individually gift boxed.Clock supplied with lifetime guarantee..
BC1028 Glass Award with Rosewood Piano-Finish Base. 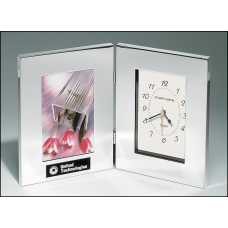 6 5/8" x 6 1/2"Three hand movement with gold bezel and white dial.Individually gift boxed.Clock supp..
BC1031 Clear Glass Book Clock. 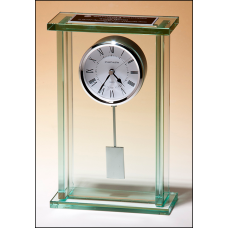 7 3/8" x 5 3/8"Three hand movement with silver bezel and white dial.1/2" thick glass, suitable for l..
BC1039 Glass clock with world dial on black high gloss base. 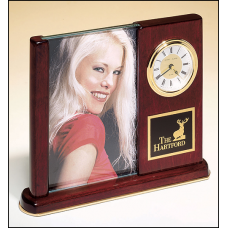 7.25" x 8.75"Laser engravable aluminum plate.Individually gift boxed.Clock movements are guaranteed ..
BC19 Rosewood stained piano finish desk clock with glass picture frame. 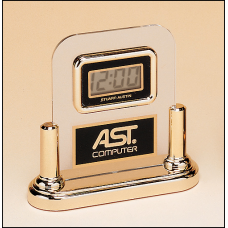 6-3/4 " x 8-1/2 " Photo Size 4" x 6"Batteries Included.Laser engravable black brass ..
BC2 Acrylic Airflyte clock with LCD movement on a gold base. 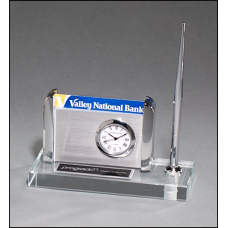 5" x 5"Clock supplied with lifetime guaranteed quartz movement.Acrylic is not laser engravable.Laser..
BC21 Combination clock and photo frame in polished silver aluminum. 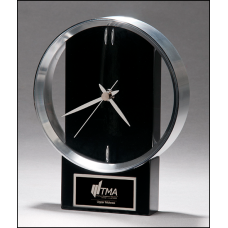 6.25" X 8.25"Laser engravable black aluminum plate.Polished silver aluminum clock can be mechanicall..
BC3 Versatile Clock two engraving plates to accommodate extra copy. 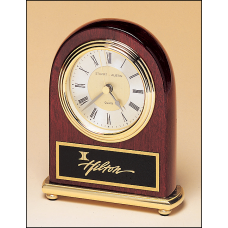 BC46 Rosewood stained piano finish Airflyte clock on a brass base. 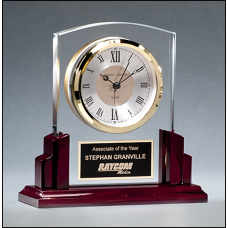 4" x 5" Diamond-spun dial and three hand movement.Clock movements are guaranteed for life.Batte..